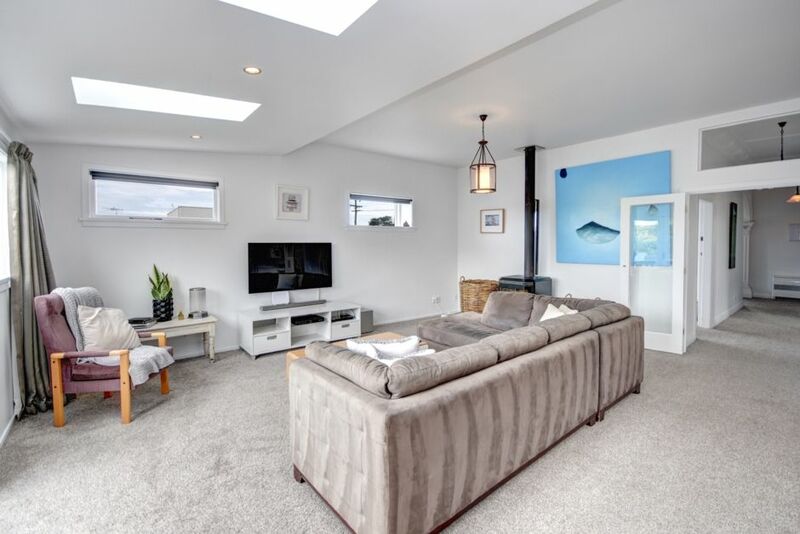 A beautifully renovated 4 bedroom house with a neutral and modern feel. 1 Coughtrey Street offers all day sun, open plan living, 4 large bedrooms, 2 bathrooms with indoor/ outdoor flow and a fully fenced section. Within 300 metres to St Clair Beach / Esplanade you can live like a local with morning cafes, to bar and restaurants through out the day and night, Salt water pool, award winning hair salon and a beauty spa and kids playground all within 300 metres. St Clair golf course straight up the hill, only 8 minute drive to city centre, 10 minutes drive to the stadium. Great bus service to/from town every 10 minutes (bus stop directly outside house) . All in all you will love your stay at on Coughtrey Street ! This place is stunning. Its an old villa in St Clair and has been fully renovated immaculately. Its warm, and luxurious without being pretentious. All rooms are wonderfully spacious and the beds are epic. The home is well appointed with everything you need, and if you cant be bothered cooking then the Esplanade area is a two minute walk up the road! Can't recommend this spot enough, well done Alex! A perfect villa for our long weekend. Beautifully furnished, kitchen has everything you need with good quality china, appliances and linens. The beds are VERY comfortable and fitted with good quality linens. Location is perfect, an easy walking distance to the Esplanade and excellent cafes and restaurants. We loved our stay and would definitely stay here again. Owner had heat pump on for us when we arrived, that was very welcoming. Would love to come again. Thank you! We LOVED our stay at your place. It was warm, clean with everything we needed for a comfy holiday. Being close to the beach was great for the kids and we also enjoyed the board games on offer.